Go BIG for your home! March 26 - March 28. All bolted fabric on SALE! 20% off all 1/2 yard cuts or more. 1/2 off all remnants. Sale begins on March 26, 2015 at 10:00 am and continues to Saturday March 28, 2015 at 5:00 pm. 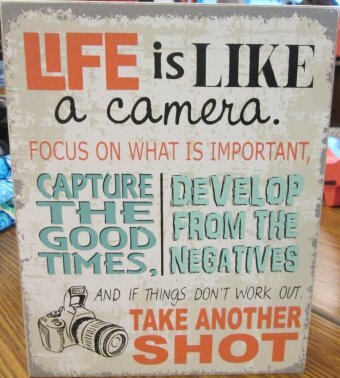 We have so much in store for you to see and make for your home! Come join us for a night of inspiration, demos, decorating ideas and much more. 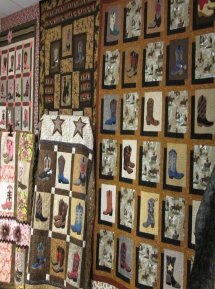 Saturday Sampler- We have so many beautiful quilts entered in the contest, you must come take a look. They all did such a great job and each one has a personality all its own. Thank you to everyone that comes to the Saturday Sampler and for those out of town, we truly are thankful for your support in our monthly Saturday Sampler. Instructor Josephine Keasler will be teaching 2 classes, April 17, 2015 (friday) @ 11:00 am and April 18, 2015 (saturday) @ 9:00 am. 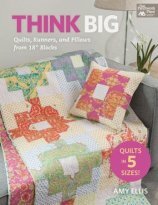 This Judy Niemeyer quilt was designed to introduce quilters to paper piecing! 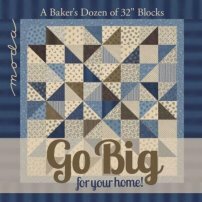 The project is fast, uses only one foundation block, employs simple cutting techniques, and is a fun way to jump into your first paper piecing project! It is meant to make those new to the process find confidence, understanding, and success! 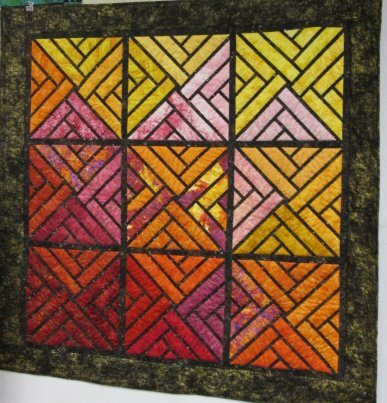 Experienced paper piecing students will find this a relaxing quilt to make. It uses 2 1/2" strips and can be made from a jelly roll or your personal stash. Pattern is required. 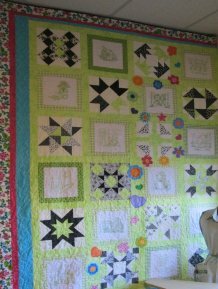 Using Ricky Tims method of bringing 4 pieces of fabric and having them converge into each other, this class uses a panel and 3 fabrics that merge into one spectacular quilt. No pattern is needed for this class. 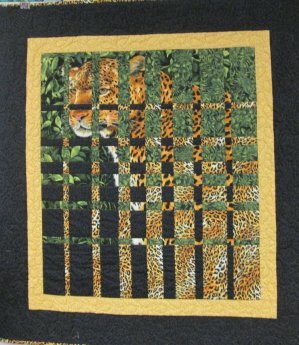 You will be making a one of a kind quilt based on your choices of fabrics. It's easy and can be done in a day. The panel and the other three pieces of fabric need to be the same size. Take a look at this easy way to change out your home dec pillows! Just a yard of fabric is all it takes and with the sale next week, you can have a whole new look in a jiffy!